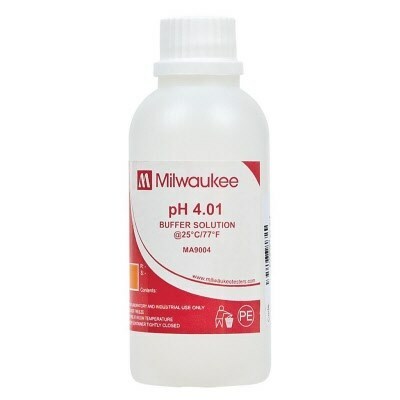 Need pH 4.01 Buffer Solution for your Milwaukee pH meter? You've come to the right place. This order includes one 230ml bottle. pH51 Waterproof pH Tester made by Milwaukee Instruments is a handheld tester of aqueous solutions.